A lot of people here in the USA are looking for ways around the importing laws. They want to find a loophole, a way to import a car and drive it here in the US. The thing is, the laws are pretty well defined. People conveniently don't follow laws when the laws don't suit them. Their feeling is they are doing no harm, leave me alone. Their attitude is often, "none of your business." They would be wrong on both counts. We are not fans of the laws, if there were legal ways around the current regulations, we would have found them. While the laws work for and against us, doing illegal things, is still illegal, no matter how you justify it to yourself. Our biggest issue isn't the first guy that imports the car. It is the 2nd or 3rd guy. The guy that has no reason to believe the car was illegally imported. That guy, he is the guy that gets screwed when the car is seized. The first guy got his money, and essentially scammed the 2nd or 3rd owner out of that money by selling an illegally imported car. No you can not legally import a car under 25 years old to the US, and store it here until it hits 25 years old. The actual import of the car under 25 is the illegal side. That is assuming it isn't a Show or Display, Race car, or Non- Conforming Vehicle capable of being brought into compliance. The path of least resistance, are cars over 25 years old. At 25 years old they are NHTSA exempt. NHTSA handles safety type regulations through the FMVSS (Federal Motor Vehicle Safety Standards). The NHTSA is one third of importing requirements. The next third is the EPA. The EPA governs emissions. This isn't your state requirements, or state testing, this is Federal Emissions as part of the Clean Air Act. In a typical government scenario, EPA says that cars over 21 years old in original configuration are exempt from importing requirements. Then US Customs and Border Protection is the agency that controls the import. They police the ports. A customs broker submits paperwork confirming a vehicle meets the above requirements, Customs collects a tariff, and they release the vehicle. Occasionally they inspect vehicles. Occasionally they seize vehicles. 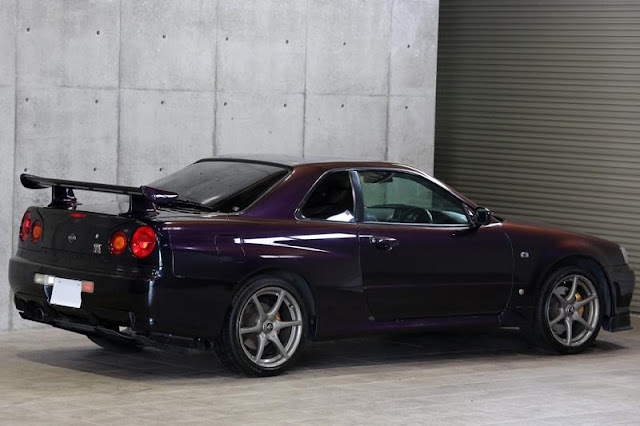 How did you get an R34 Nissan Skyline GT-R? 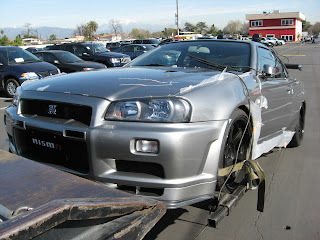 When customs seizes your R34, they will tow it like this. You can NOT have a vehicle that was NOT imported legally though US Customs, NHTSA, and EPA, and then road register it. Although it happens all the time, this type of import is illegal. Cars get seized, cars get crushed. Most people get away with it, at least for a while, but eventually the illegal imports catch up to them. The truth is that people brag about the illegal cars they have, not about the illegal cars they get seized. State Tilted Cars. Also called Illegally Imported Cars. If as above, the cars were not brought in correctly, they are illegal. "Under 49 U.S.C. § 30112(a), a person may not permanently import into the United States a motor vehicle manufactured after the date that an applicable Federal motor vehicle safety standard (FMVSS) takes effect unless the vehicle complies with the standard and is so certified by its original manufacturer." A state titled car, or illegally imported car can never be legal. When it turns 25 years old, it does not just become legal. A car over 25 years old is entered into the US by customs, with the HS7 from the NHTSA, and 3520-1 from the EPA filled out and applied to the vehicle. Tariff is paid, and the vehicle is allowed a consumption entry. Absent these items, just turning 25 years old does not make it legal. Non Conforming Vehicles. There is a way to bring non-conforming vehicles into compliance. Just because a car on this list, it doesn't mean that it is fine to import as is. The vehicle would need to be modified to meet FMVSS, and if under 21 years old, would have to meet EPA requirements. We see more and more people think that because a car is on this list, they can just import it. Not at all true. You need to contract with a Registered Importer than can bring the vehicle into compliance. There are very few RI's that can, and will do the work required. Often this cost exceeds the cost of the vehicle. Show or Display. Your car is probably not a "show car." You can't just decide that you are going to bypass regulations because you aren't going to drive it on the street. Show or Display is a very specific NHTSA or FMVSS exemption based on special vehicles. The type of vehicle needs to be approved, and the individual vehicle needs to be approved on a case by case basis. Eligible vehicles for Show or Display are here. 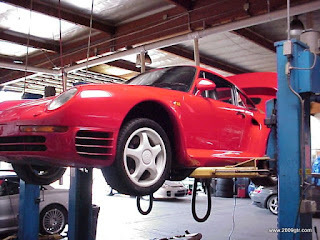 Porsche 959 was the first Show or Display car. Now over 25 years old. On Road Use for Show or Display. A vehicle eligible for Show or Display may receive NHTSA approval to be driven on the highway. The odometer must not register more than 2,500 miles in a 12-month period. NHTSA approval of limited on-road use is to allow the vehicle to be driven to and from nearby displays of similar automobiles. Another reason permission is granted is to maintain the vehicle’s engine, braking, lighting, and other dynamic systems in good working order. The vehicle is still required to meet EPA requirements. If the original engine in the vehicle will be replaced with a non-original engine to meet EPA requirements, it must be identified in your application since it may impact on the technological or historical significance of the vehicle. Show or Display Type approval letter on Nissan Skyline GT-R NISMO. Kit Cars. The production, sale and importation of vehicle parts (engines, transmissions, chassis, vehicle bodies, etc.) are not regulated by EPA because parts are not considered motor vehicles under the Clean Air Act. However if the parts constitute a disassembled vehicle or an approximate disassembled vehicle, the combination is considered a motor vehicle under the Clean Air Act. Any attempt to use this policy to circumvent the Clean Air Act or the Imports regulations will be considered a violation of the Clean Air Act and will be strictly enforced. An example of such circumvention is: A kit car maker who also provides the engine and transmission before or after production/importation of the body/chassis. More kit car information. Shell, Chassis, Body Importing. If you import a body, which if it is absent engine and transmission, and absent anything regulated by the NHTSA, is that legal? Tricky question. Here is the trick, why was it imported like that? According to the EPA 3520-1 disassembled vehicles, and kit cars should be declared to customs on that form. What constitutes a disassembled vehicle? These are all tricky questions, that most people manage to perjure themselves with the answers. The whole reason they are importing the shell, chassis or body, is because they want to reassemble it as a vehicle, hereby violating the Clean Air Act. They took it apart, and imported it as "parts" to bypass importing regulations. If they weren't looking to bypass regulations, then why were the "parts" imported like that? VIN Swap. This is the worst of the worst. If you see a car that is a VIN swap, get on your bike and head out of there as fast as possible. Most law enforcement treat a VIN swap as a stolen car. Not something you want to hear. Not something you want someone to brag to you about. This Land Rover Defender, was supposedly crushed because of VIN tampering. Race Car or Track Car. Another one of, you probably don't have a "race car." Just because you are going to race it or drive it on the track, doesn't mean it is one. 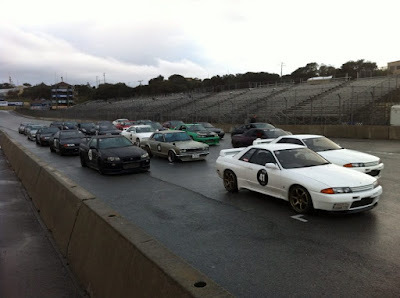 Now we are getting into semantics when we say, there is no such thing as a Track Car. People ask us constantly about buying or importing a Track Car. Track Car being a vehicle they drive exclusively on the track, aka not a street car. 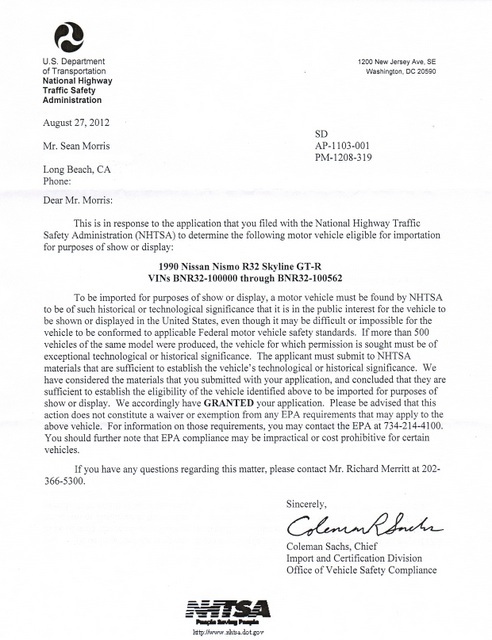 However, for the NHTSA, or the EPA, there is no such car listed. They only list vehicles for racing, not track use. There are legal ways to import cars, and illegal ways to import cars. Any idiot can import a car illegally. Its much more difficult to do it correctly, get all the correct permissions, and have a car you can legally own, vs a car that could be seized and crushed.